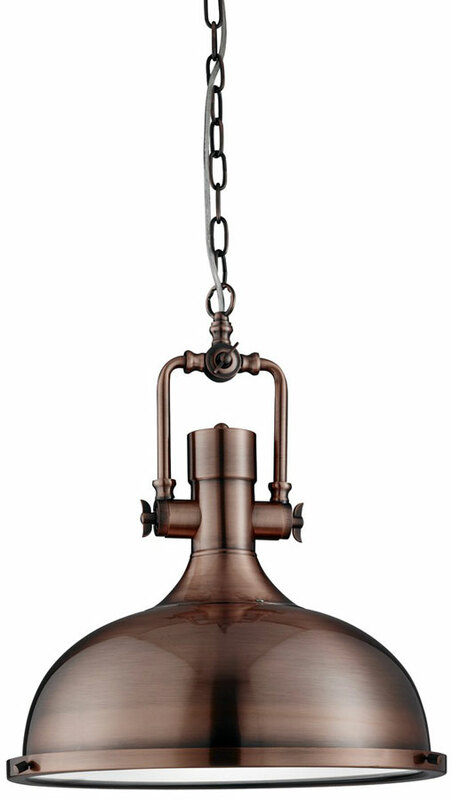 This antique copper industrial pendant light with frosted glass diffuser has a solid vintage style and on-trend finish. The large domed bell shade has a stylish chunky rim around the base and metal features around its top, with antique copper finish chain attaching it to the ceiling. It looks fantastic in any apartment or large post-modern living space, and the frosted glass diffuser creates a subtle lighting effect for the entire room. 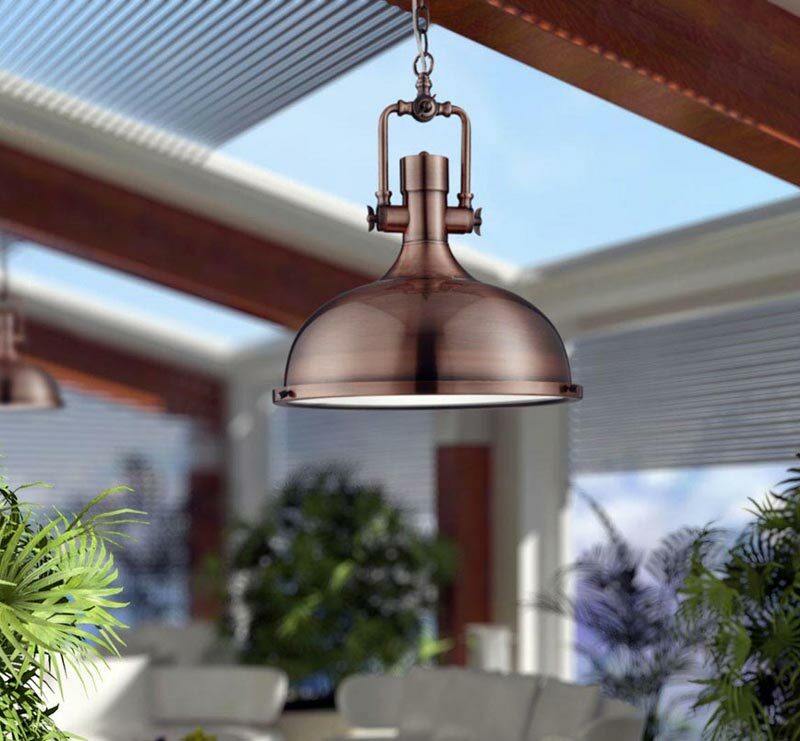 A contemporary kitchen pendant light finished in trendy antique copper, with a large downward facing domed shade, top stirrup hinge and matching finish chain suspension. The bottom of the shade holds a frosted glass light diffuser for a softer lighting spread. Other finishes in this range can be viewed below and include cement grey, antique nickel, black and gold and antique brass versions of this industrial style ceiling light. 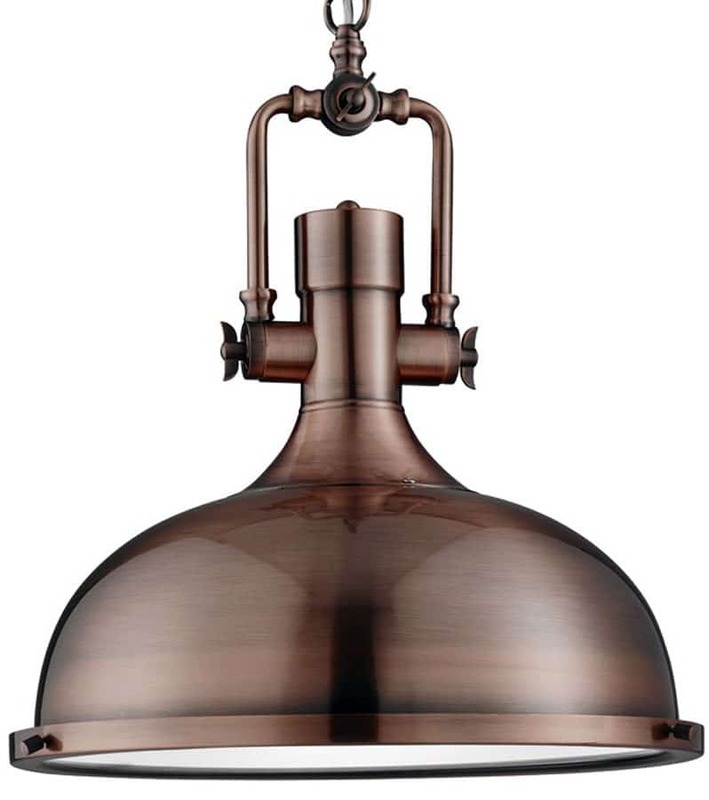 This vintage style light is supplied by Searchlight who manufacture some of the best traditional and modern classic designs such as the antique copper industrial pendant light with frosted glass diffuser you see here.